After four years of publishing the Shopping Index, we noticed an emerging trend with site search in Q3 2018. We saw the highest use of site search (11%) in Shopping Index history, but revenue share from site search remains flat at 25%. This made it clear that increased use of search is not yet driving more revenue. How is a tool increasingly effective at driving engagement failing to convert these same shoppers? That’s where searchandizing comes in — the art of promoting, cross-selling, and up-selling through search. Retailers and brands have a difficult task ahead of them. 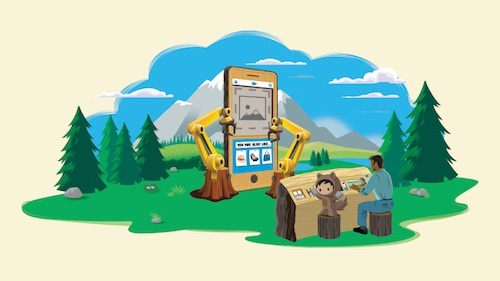 On one hand, they need to cater to shoppers who prefer to browse their site and use guided navigation to connect the shopper to the perfect product across multiple devices and channels. On the other hand, they need to precisely manage site search to deliver exactly what the shopper is looking for, while also inspiring them with a few other related possibilities. Couple this with rapidly expanding product catalogs, and retailers and brands need to perfect their searchandizing strategy. Synonym mapping is a two-way relationship between words and phrases where all the terms will return the same results or produce the same experience. Retailers and brands can address frequently misspelled words or typos by mapping them with intended products. A good example is how Cole Haan maps “sandles” to “sandals” and appropriate products returned from a misspelled search query. Other ways synonym mapping can be used are for regional terminology differences (flip-flops vs. slides or handbag vs. purse) and variations of terms (backpack vs. rucksack). Hypernyms associate more specific product results with a broader term that customers search for. For example, a shopper might search for “footwear,” but the retailer might want to present top-selling sneakers, boots, and oxfords. Although the shopping experience may have started generically, hypernyms are an effective tool to help guide and lead to a purchase. Compound words are two or more separate words that, if not properly managed, could lead to varying, and inaccurate, results. Some examples might be “skin care,” “lipstick,” or “eyeshadow” for a cosmetics retailer. In these examples, the improperly managed compound words could return generic product results for skin, lips, and eyes and thus potentially frustrate the shopper. Entering terms as compound words allow single- or two-word terms to be used interchangeably and provide the exact same search results. Some search terms may return mixed results because the matched product results use the same word stem. In the example below, a search for “bedding” returned bedding products but also returned beds, which is likely not what the customer wanted. A retailer can set up stemming exceptions to return only bedding for the “bedding” search term and likewise for “bed.” It is recommended that both terms, the root and word form, be entered as a stemming exception to achieve this. Search-driven redirects specifically target pages before serving search results. Common redirects can be done to product pages, category pages, and landing pages, as well as specific URLs in an attempt to properly guide the customer query. These redirects are most commonly recognized for non-product queries such as “Shipping”, “Customer Service”, “Contact Us,” or “FAQ.” While not product driven per se, these techniques still provide a very positive customer experience and translate favorably for the retailer. For desktop, make the search bar prominent (and always visible) to help customers easily start their search at any time. For mobile, always use a sticky header and search box that is exposed by default in the header. 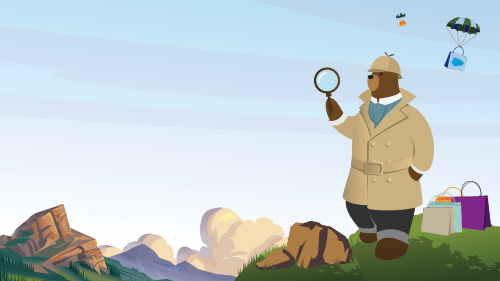 According to Salesforce research, a persistent search box performs 3x better than a closed search box. And an expanded search box on a mobile device results in 44% higher use of search. 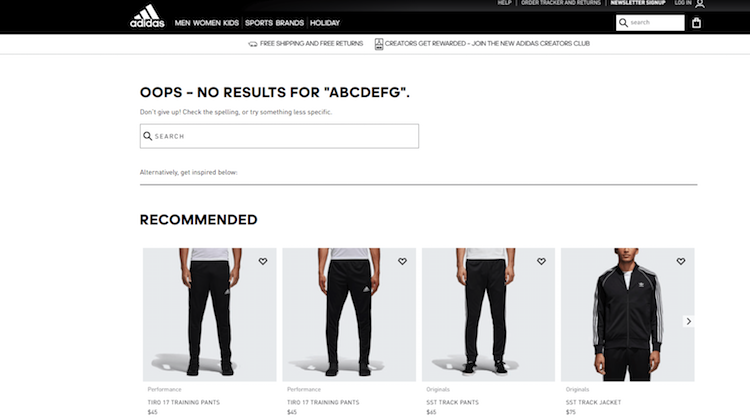 Take advantage of product recommendation opportunities when a shopper receives a “no results” page. With search as you type, suggested search results start to display once the predetermined character count is reached. For example, typing “Mak” on Elizabeth Arden’s site returns results for makeup, makeup kits, and makeup brushes, as well as other popular search queries and categories for consideration. Merchandising search allows you to feature you rending or best-selling products. Bardot.com uses two innovative ways. In the first, when you click on the search box, and before you type a letter, Bardot offers what’s currently trending site-wide. In the second, you can enter a category (in our case “coats”) for a more-specific query and, before landing on the category page, popular items are offered for consideration. The search result banner highlights site-wide information by using a content slot to show product or category information, promotions, gift cards, or seasonal offers. 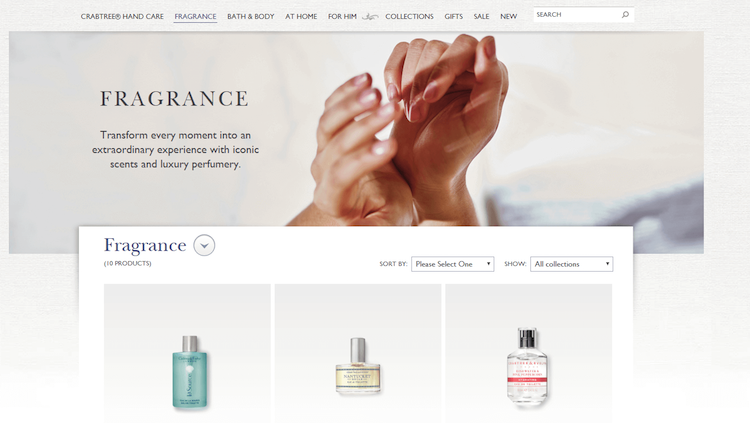 For example, Crabtree & Evelyn’s search result for “fragrance” returns desired products and a lifestyle marketing piece to enhance the sensory user experience. Use searchandizing as part of a targeted selling strategy to help your customers find the products they want — and yield big returns for you. Continue to fine-tune your tactics and you’ll reap the rewards. For more data-driven insights, check out the Shopping Index, which uncovers the true story of shopping by analyzing the activity of more than 500 million shoppers across the globe. 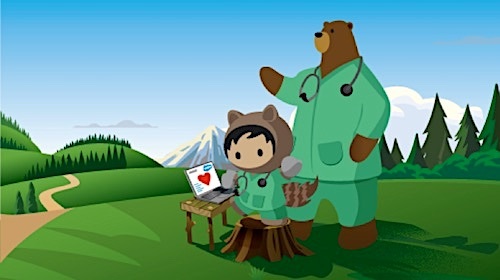 Get a partner-in-commerce who will grow with you every step of the way. 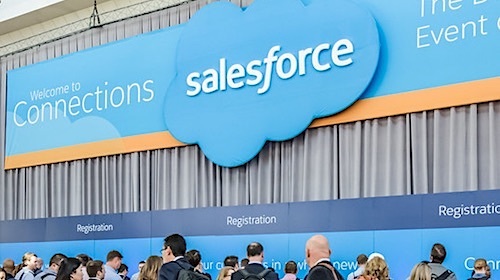 Learn more about how our customer success teams help customers drive ecommerce growth.